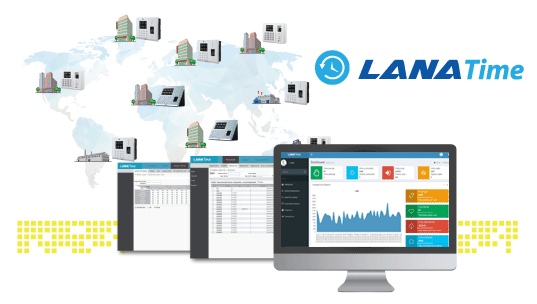 LanaTime 3.0 is a powerful web-based time attendance software which offers the most innovative features a time attendance software can offer. It provides a stable communication for devices through LAN/WAN/Wi-Fi/GPRS/3G. Users can access to the software anywhere by their web browser to remotely manage thousands of T&A terminals under complex network (WLAN). The software features a simple access control module that can connect to ZKTeco standalone access control terminals. Another outstanding feature is the payroll module that calculate employees’ wages according to their workloads and can generate WPS report easily. 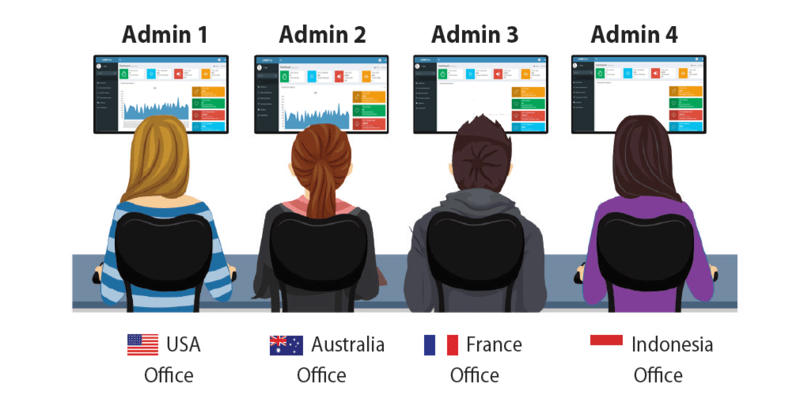 An Automatic Synchronisation function is available to automatically synchronise data between devices and server among the same “Area.” With its new user-friendly UI, managing timetable, shifting schedule, and generating attendance report have become easily managed. LanaTime 3.0 is a powerful time attendance software which can setup various attendance rules which is applicable for the whole company and individual departments. 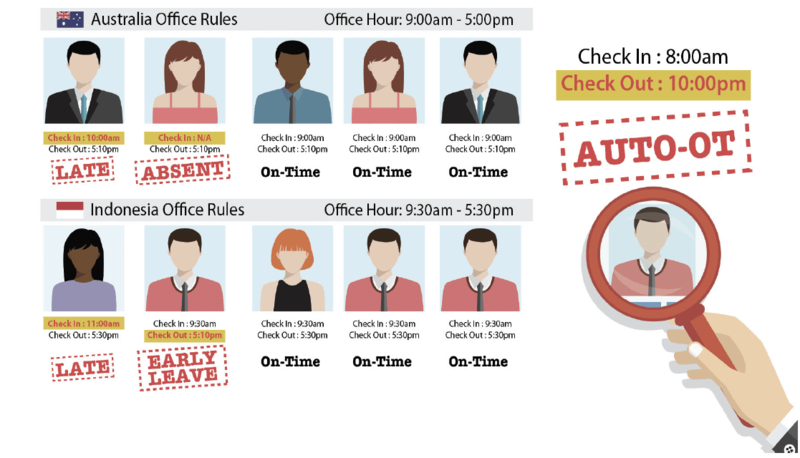 User can set the attendance parameter like check-in, check out, and overtime rules. LanaTime 3.0 is a powerful time attendance software which can setup various attendane rules which is applicable for the whole company and individual departments. User can set the attendance parameter like check-in, check out, and overtime rules. 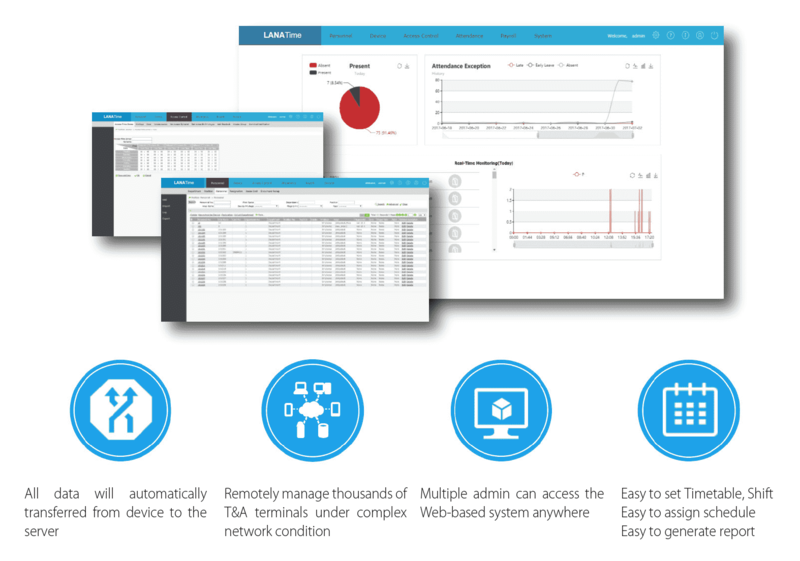 Users can access the centralised system anywhere by their web browser to remotely manage thousands of T&A terminals under complex network (WLAN). Software administrator can assign flexible schedule which support cross-day timing to the employees. LanaTime 3.0 is a platform which can be integrated with ERP and HR software to do synchronization using Middle table in these fields (Employee, Department, Area, Job). Automatically synchronising the data between devices and server among the same “Area” to ensure the information are updated. Multiple admin can be set to manage different privilege in the software. Admin will get a list of employee’s attendance including the number of late and absences. Simple access control module that can set up the access control settings on the time attendance devices. Access login is provided for each employees to check their attendance. Employees can apply for online leave to approved by the manager or admin . The data from the inter-regional terminals can be monitored in real time and you can manage attendance, personnel, device, and payroll in one system. Email notifications for the attendance exceptions and multi-level approvals. 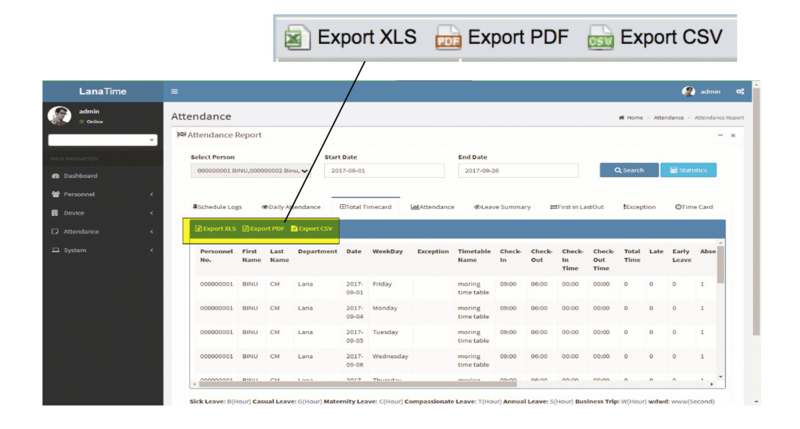 The attendance reports are calculated easily and can be exported in CSV, PDF, and XLS format. LanaTime 3.0 is a platform designed to organize all the tasks of employee payment and generate salary reports. These tasks can include keeping track of hours, calculating salary, and overtime allowance. 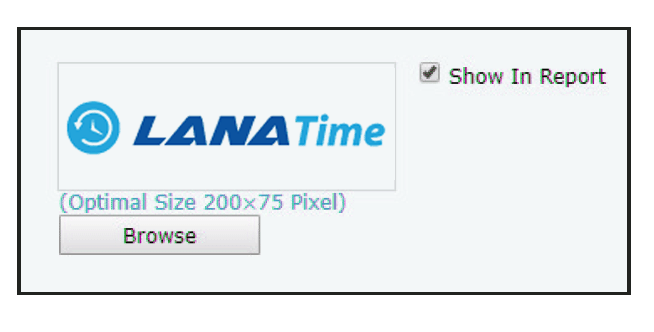 LanaTime 3.0 provides some great instance to customize and build your own report format with the selected fields which allows user to gain valuable insights from the tools. Users can change the company logo to their own which can be shown in the generated reports.